Please prayerfully obtain a copy of any of the following books to read in these last days of the earth's history as you prepare for Jesus' coming. The publication and sale or distribution of these books is independent of Warning Message. 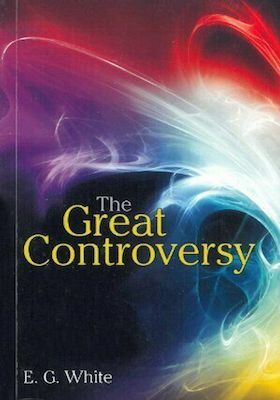 The Great Controversy contains the past, present and future truth. The first half covers the rise of the Papacy from the times of Constantine, the Dark Ages persecutions, the work of Reformers, and the Advent movement. The second half prophesy the resurgence of Papal supremacy, exploring a threefold unity of the United States, Protestantism and the Papacy in the enforcement of a universal Sunday Law to persecute God's true Sabbath-keepers immediately before the second coming of Christ. You may purchase this book from Adventist Book Center or you may read a Free PDF Version. A must read for every soul! 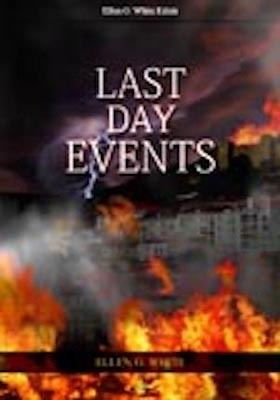 Last Day Events is a compilation of Ellen G White writings that are particularly applicable to end time and a must read and must apply for every Seventh-day Adventist who is to be sanctified and sealed before probation close! If you have no copy of this book, you must without delay obtain a copy. If you can buy extra copies for your fellow brethren who have no means of buying their own, that will be appreciated by our heavenly Father. You may purchase this book from Adventist Book Center or you may read a Free e-book version at Ellen G White writings. Awakening the Remnant is a must read and must apply for every Seventh-day Adventist who is to be sanctified and sealed before probation close! Are you perplexed by the direction the Seventh-day Adventist Church and its members are taking on principles that the church has upheld for years? Many members of the remnant church are shifting their position on various topics in these last days to closely mirror worldviews and philosophies. 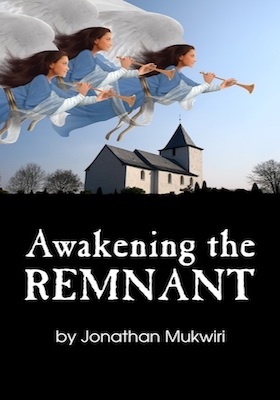 Awakening the Remnant is a call to Seventh-day Adventists to return to the truth in such areas as dress, worship, diet, and obedience to the law as clearly stated in the Bible and the Spirit of Prophecy. As the remnant church, Seventh-day Adventists have the knowledge, but its members must hold true to the Word of God if they are to stand until Jesus' Second Coming. Are you ready for Christ's soon return? Be prepared by studying the Bible and the inspired writings of Ellen G. White. This book quotes extensively from both in an effort to steer members of the remnant church back on the straight and narrow way of truth. May you love the Word of God and be sanctified! You may purchase this book from publishers TEACH Services Inc. 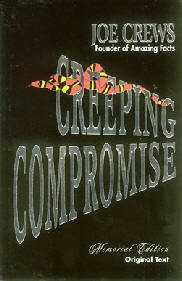 Creeping Compromise is a must read and must apply for every Seventh-day Adventist who is to be sanctified and sealed before probation close! With his unique, straight-forward style, Elder Crews addressed some of the most sensitive and controversial issues in a bold uncompromising approach. The book gives a very sobering discussion of how far Seventh-day Adventists have compromised standards to become recognised by the world but unrecognised by God. If we ever needed to get our Christian lives back on the right track, this is the book for Seventh-day Adventists living in these last days of earth's history. Every professing Seventh-day Adventist from small to great needs to read and apply. Adventists have wondered far away from what Elder Joe Crews wrote in the pages of this book. Again, a must read and apply! You may purchase this book from publishers Amazing Facts Inc.